“For the fifth consecutive year, global agricultural productivity is not growing fast enough to sustainably meet the needs of a growing population,” according to the 2018 Global Agricultural Productivity Index™ (GAP Index™), an indicator of agricultural productivity growth introduced by the Global Harvest Initiative in 2010. The annual Global Agricultural Productivity Report (GAP Report®) analyzes progress made every year towards sustainably increasing worldwide agricultural output. The recently published 2018 GAP Report® explores consumer trends influencing the global food system and highlights challenges towards sustainably feeding a world population of nearly 10 billion people in 2050. It emphasizes that multiple institutions, communities and governments need to work together as one to ensure that the burgeoning population is kept nourished without damaging the earth’s natural resources irreparably. Dr Kiran Sharma, Deputy Director General – Research, ICRISAT, was one of the panelists at the launch of the GAP Report® on 17 October as part of the World Food Prize events. 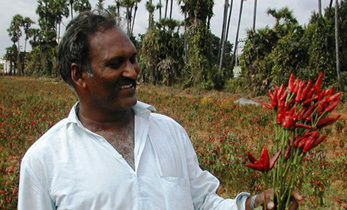 He gave his insights, as an agricultural innovation leader, on the sustainable production of affordable and nutritious food and agricultural products. 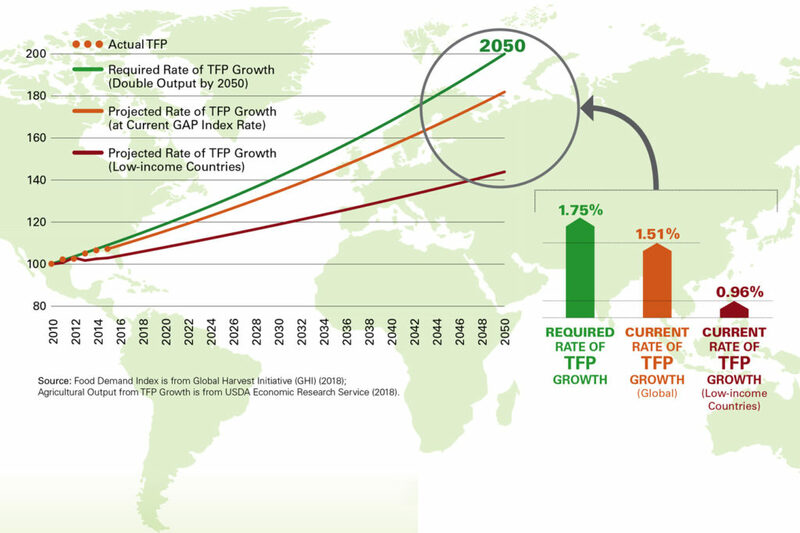 Since 2010, global Total Factor Productivity1 (TFP) growth (a measure of agricultural productivity) has been increasing only by 1.51%, against 1.75% – the required average annual rate to double agricultural productivity by 2050. The report predicts that if this trend continues, farmers in low-income countries (where TFP growth is even lower at 0.96%) will use more inputs and resources to get higher outputs, disrupting natural resource bases. The number of older (>60 years old) as well as younger (<15 years old) people in the world is growing due to better life expectancies and higher birth rates. Urban population is set to double (from 2.5 billion to 5 billion) between 2000 and 2030. Women – primary influencers of food-related decisions in households – consider price, nutrition and convenience as major factors in decision making. One-third of the earth’s land surface is used for agriculture – the world’s largest single use of land. Agriculture is also the world’s largest user of water. Agricultural workers will contribute to 66% of hours lost due to heat stress; 66% of agricultural workers live in extreme poverty. What do these trends signify? The report decodes the underlying meaning of these trends and uses them to chart next steps for a sustainable and productive agriculture-and-food system. It specifically outlines a few policy goals to meet the global demand for food and nutrition in an ecologically viable way. 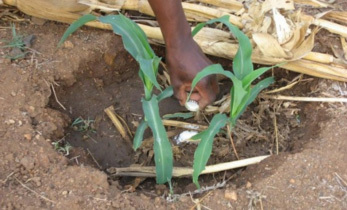 Invest in agricultural research: Public agricultural R&D and extension programs are principal drivers of TFP growth as they deliver information and innovation to the producers. 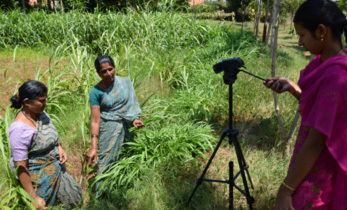 Adopt science-based and information technologies: IT can help raise consumer awareness about agricultural products while science-backed agri apps can help farmer combat risks such as climate change and disease. Enhance private-sector involvement in agriculture and infrastructure development: Involving the private sector in infrastructure projects can boost development and efficiency, opening new markets for agricultural producers and helping reduce poverty. 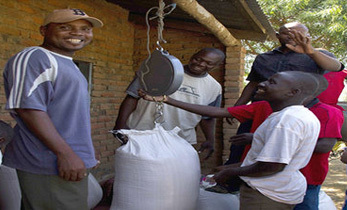 Cultivate partnerships: Interconnecting governments, communities, institutions and public and private organizations, can accelerate development of agricultural economies, improving lives of all citizens, especially small-scale producers. 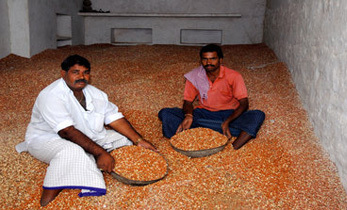 Foster regional and global agricultural trade: Policies that help build capacities of countries to trade globally will enable modernization of food production, help smallholder farmers improve their livelihoods by accessing larger markets, and also allow consumers access to a wide variety of foods. These strategies resonate well with ICRISAT’s goal of making agriculture productive and profitable to smallholder farmers, tackling malnutrition and preventing environmental degradation globally, and especially in the drylands. 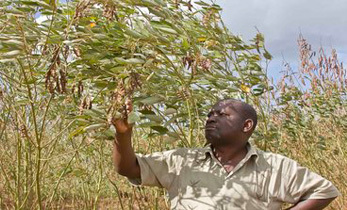 The 2018 GAP Report®, therefore, provides an actionable roadmap not just for agricultural research-and-development organizations such as ICRISAT, but also for the private sector, governments and civil society to reach the ambitious, yet realistic goal of providing wholesome nutrition and health to all world citizens by 2050. 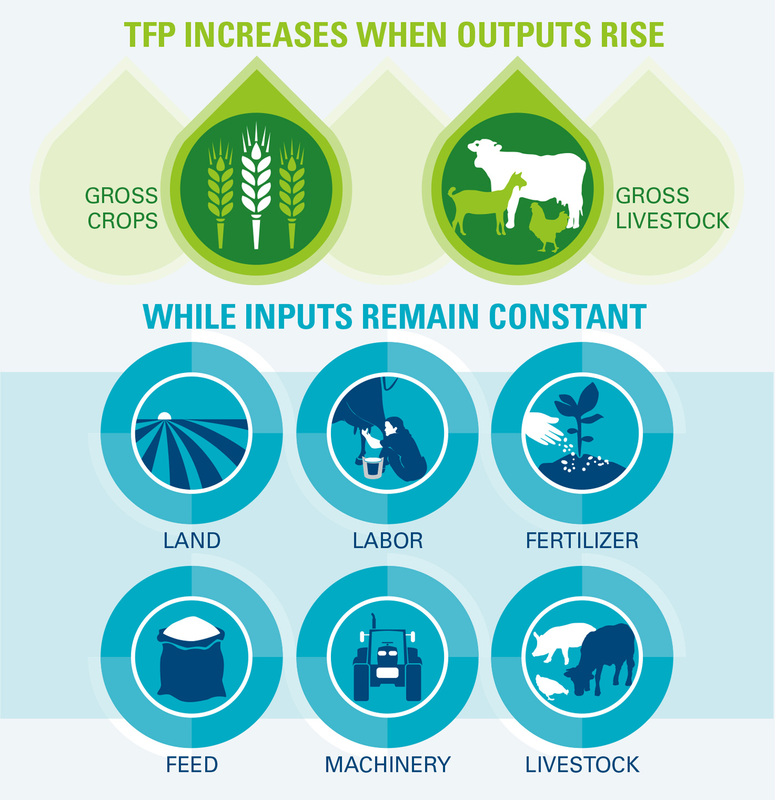 1Total Factor Productivity (TFP) is the measure of agricultural productivity (including crops and livestock) while keeping inputs (land, labor, feed, etc.) constant. It is a ratio measuring changes with regard to how efficiently agricultural inputs are transformed into outputs.